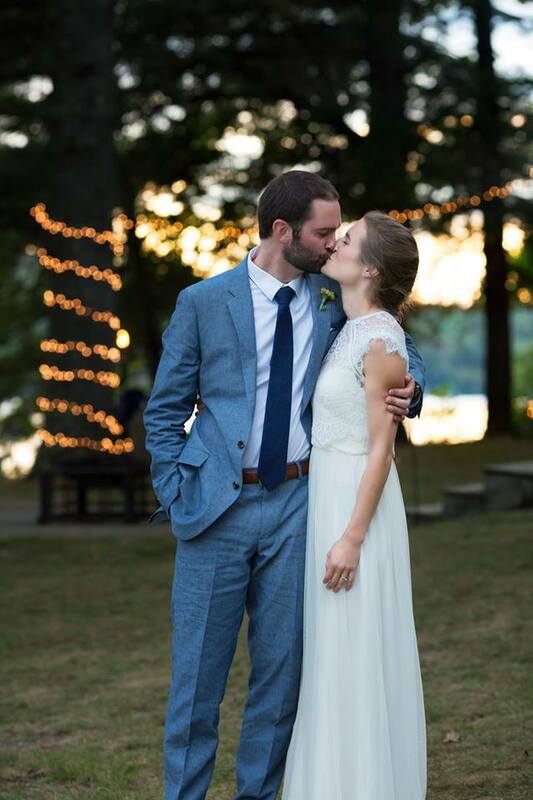 Adam and Hannah were living in Vermont when they decided to make this beautiful spot on Green Lake their lakeside wedding location. It was a wonderful summer day to celebrate on the family property where Adam spent many childhood summers. 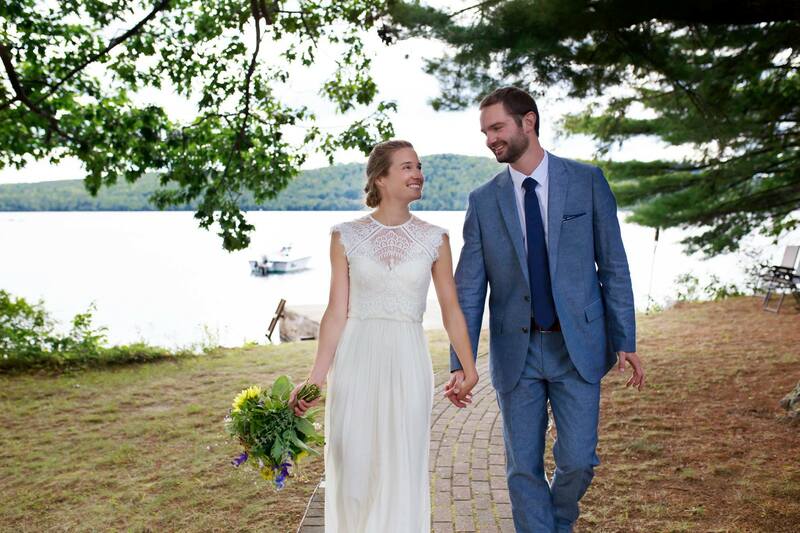 The private residence provided the backdrop for a simply elegant, lakeside wedding in Dedham, Maine. We have driven by this area many times on our way to MDI and just down the road from the Lucerne Inn where guests were staying but tucked away from the main road. 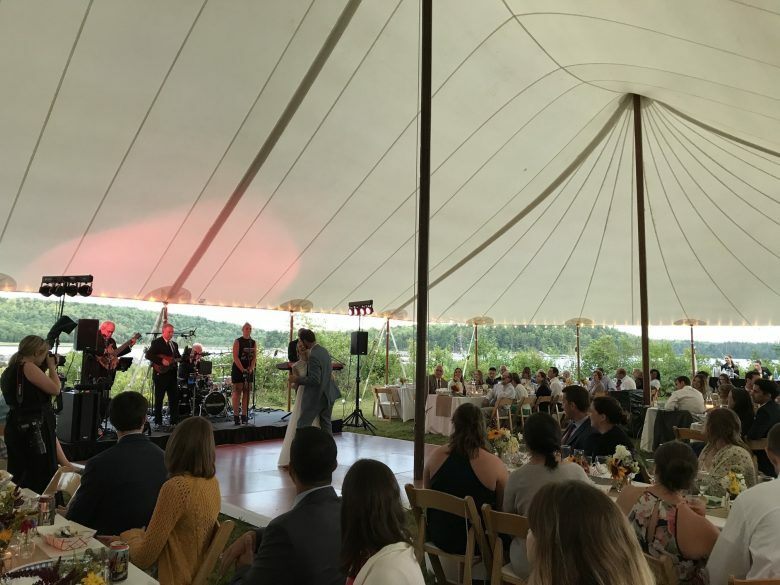 Just the ideal location for a casual, laid-back wedding with a lobster bake and a ton of fun! 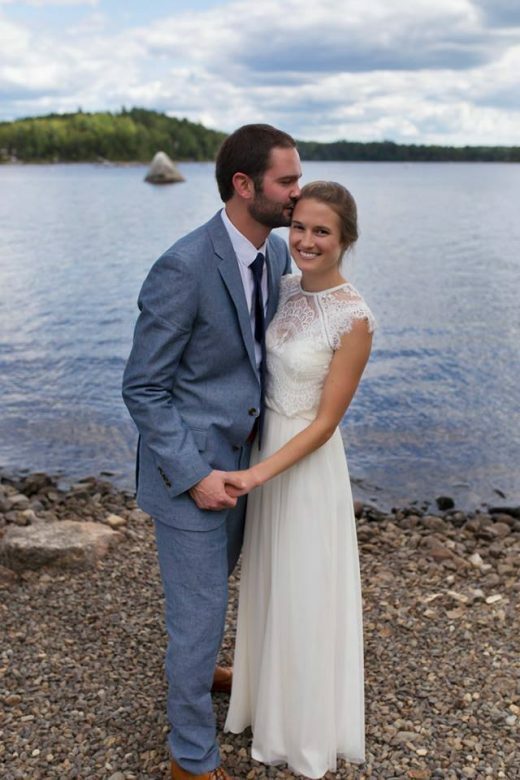 We are delighted to share the wedding couple images by Elizabeth Ivy Photography. 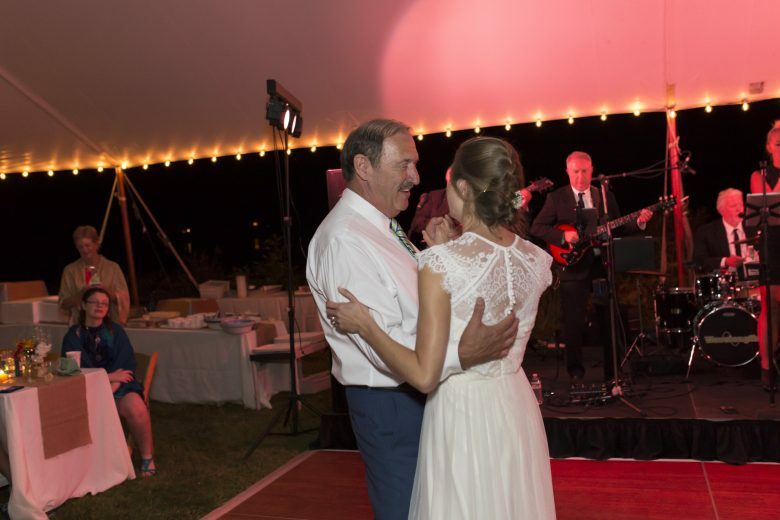 “We are SO glad we booked Wavelength for our wedding. Their manger, Johnna, was wonderful and made everything seamless and easy from our perspective. 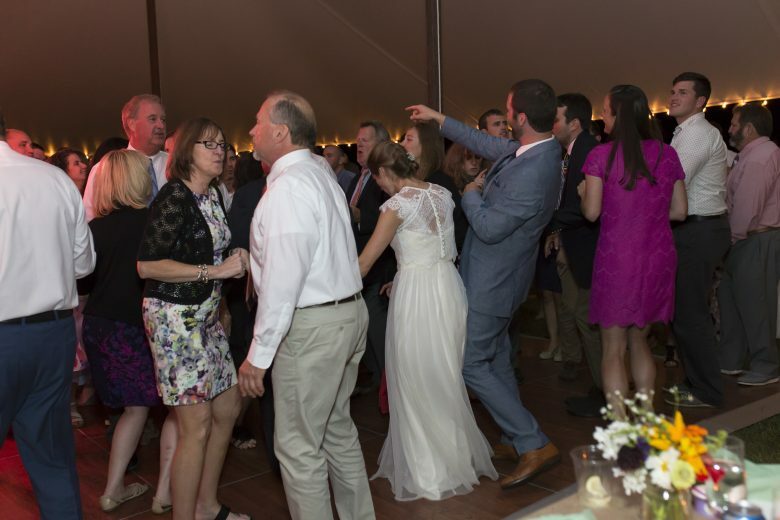 Our dance floor was packed right away the night of our wedding, and Wavelength kept it that way the whole night. 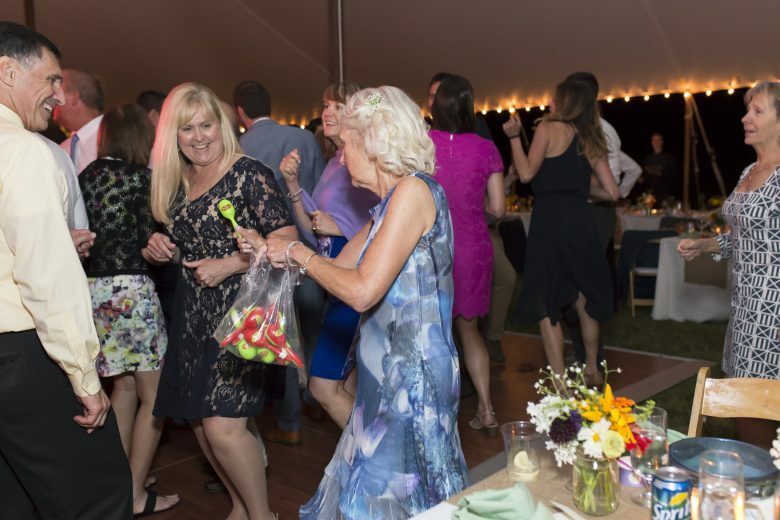 They read the crowd and responded so well, including a very extended version of my mother’s favorite song to dance to… 🙂 We have had many of our guests ask us afterwards for their name. We recommend them 110%. 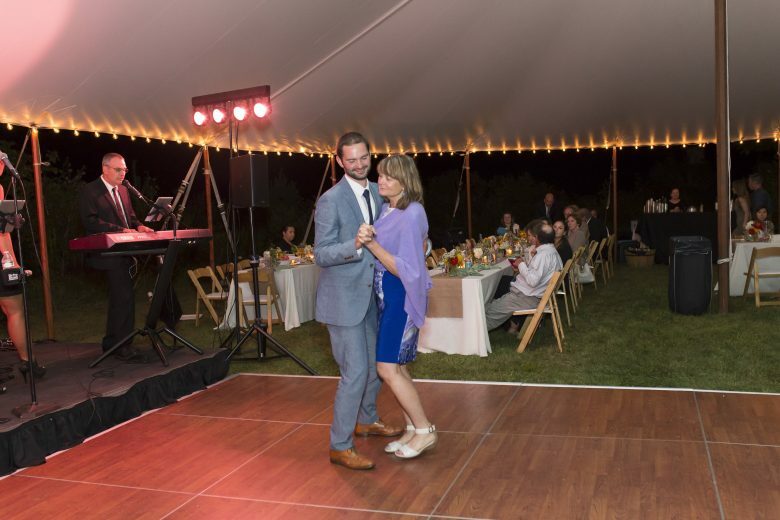 Thank you, Wavelength, for making our reception an amazingly fun party!” Thank you for your wonderful review, Hannah and Adam! We are so thrilled that you chose Wavelength to celebrate at the lake with you. It was a wonderful time with you and your guests. Thanks for being great dancers! All our best to you both!